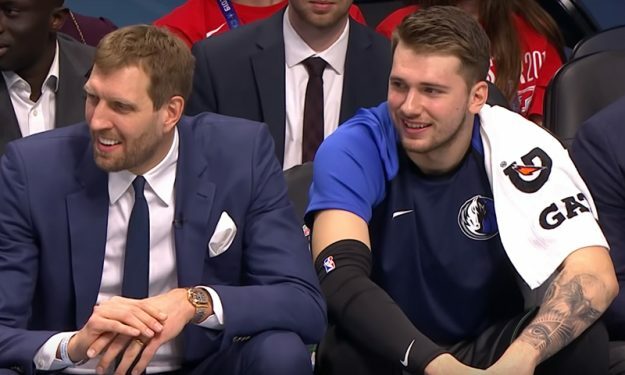 Luka Doncic shares his journey, from leaving Slovenia at an early age to being drafted in the NBA and playing alongside Dirk Nowitzki. Dallas Mavericks star Luka Doncic talks to ESPN and shares his journey to the NBA, leaving his home country of Slovenia and moving to Spain to play for Real Madrid at the age of 13 before being drafted with the No. 3 pick in the 2018 NBA draft. “I dreamed about being in the NBA since I was a kid. It was hard moving to Spain when I was 13, I had to leave my friends and family back in Slovenia. Pretty hard, but it was worth it”, he tells ESPN. Doncic also talks about playing with German superstar Dirk Nowitzki in Dallas and making his first All-Star Game. “I knew he was great at basketball, but the most important part is that he’s a good person, making fun all the time“, says the 20-year-old Slovenian wonderboy.